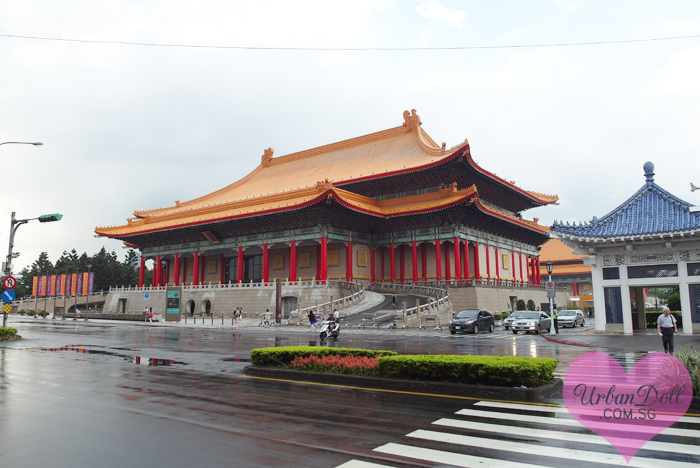 Am back from my 6 days travel in Taipei and I must say it was lots of fun! 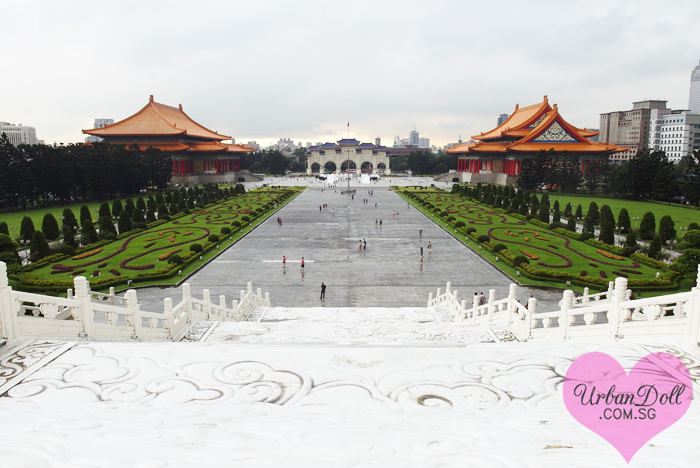 It was my first time in Taiwan and I can’t wait to go back there again. Roy had been there previously during NS days but he can’t recall much things about Taiwan so we could explore Taipei together. We flew with Jetstar Airways at 7.10 am and arrived in Tao Yuan International Airport 4 hours later. 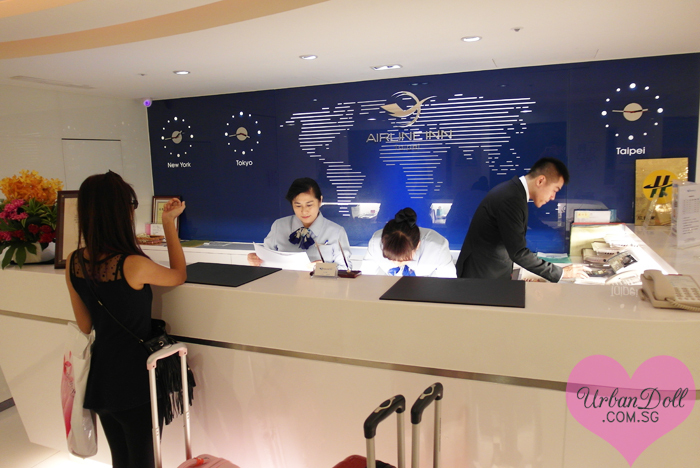 Our tickets costed SGD$240.00 each inclusive of 15kg check-in luggage for a round trip, pretty affordable I must say! Think we got it during the sale in January earlier this year. 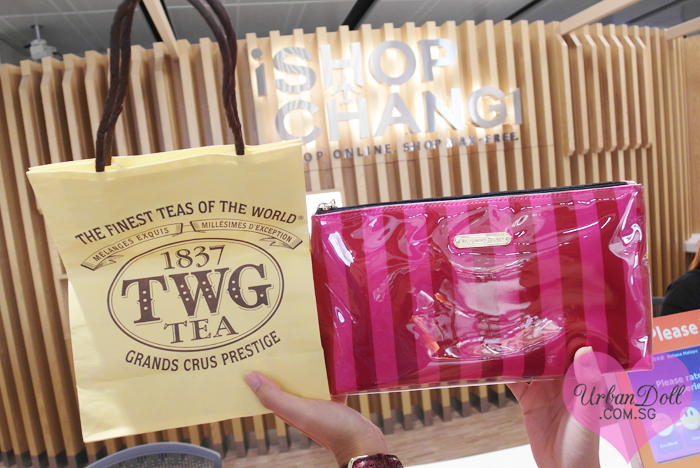 Before our flight, we headed to pick up my surprise gift from Changi Airport Singapore, the world’s best airport. The peeps at Changi Airport prepared a box of tasty macarons and a Victoria’s Secret toiletries pouch for me. How thoughtful of them! This is the fifth year of Changi Millionaire competition! As with all my other travelling experience at Changi Airport, check-in was smooth and fast so I had enough time to walk around the airport and shop! Thank you for the free Internet service, especially when we need to check our emails/work urgently when travelling. 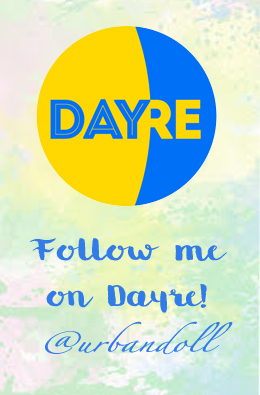 If you’ve followed me long enough, you would have read about my travels to other places like the Europe and USA. 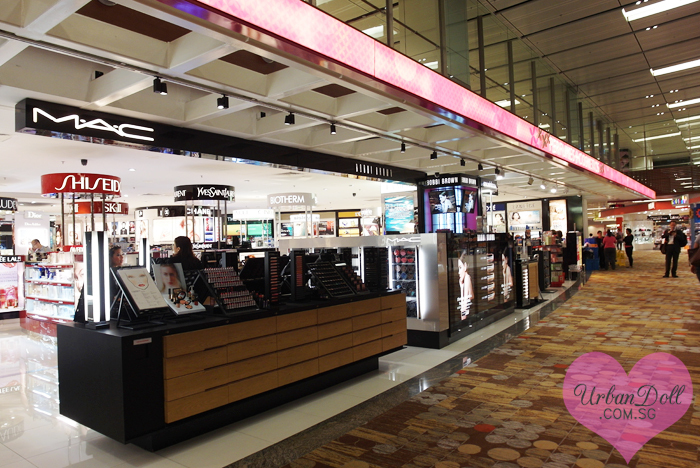 Having been to several countries, no other airport ever comes close to our very own Changi Airport. I mean, the efficiency and the environment is something you can never experience elsewhere. A big thumbs up to the people at Changi Airport. 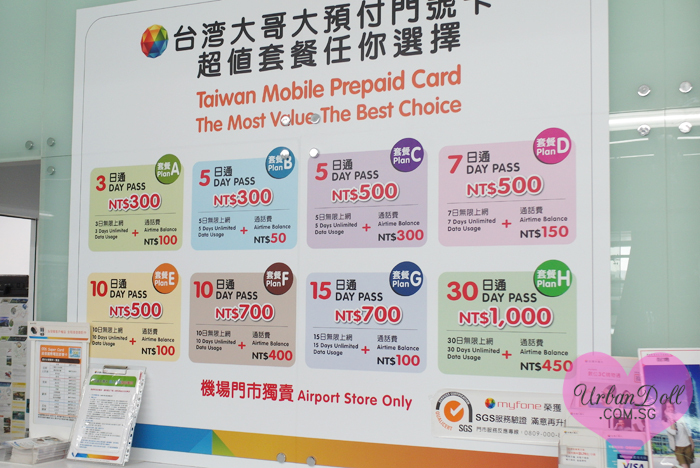 When we first arrived at the Tao Yuan airport, the first thing to do was to get a 3G card. 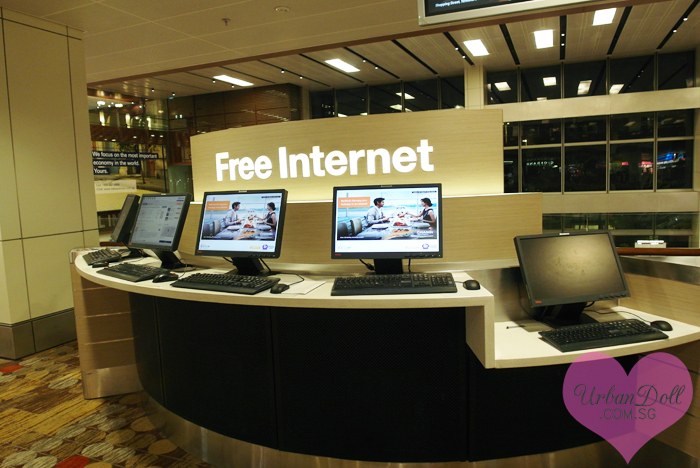 Most Singaporeans cannot leave without Internet/Data usage so we had to get it. 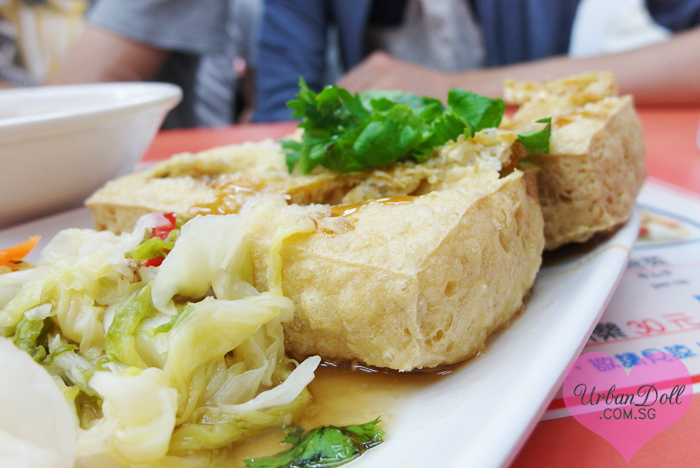 My sister, Kay, reminded us repeatedly to buy from Taiwan Da Ge Da Myfone (台湾大哥大) as it was highly recommended by her friends. The booth is located on the right when you come out from the arrival area. 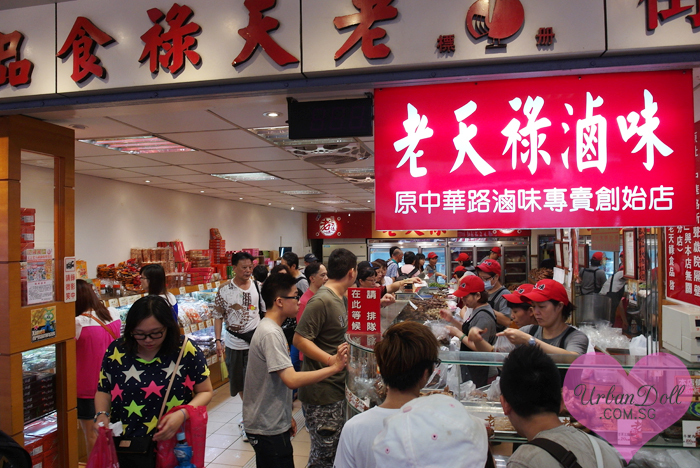 There are quite a few companies there selling 3G card and the one with the longest queue (of Singaporeans) was 台湾大哥大! From the above photo, you can decide which day pass you would like to have depending on the duration of stay. 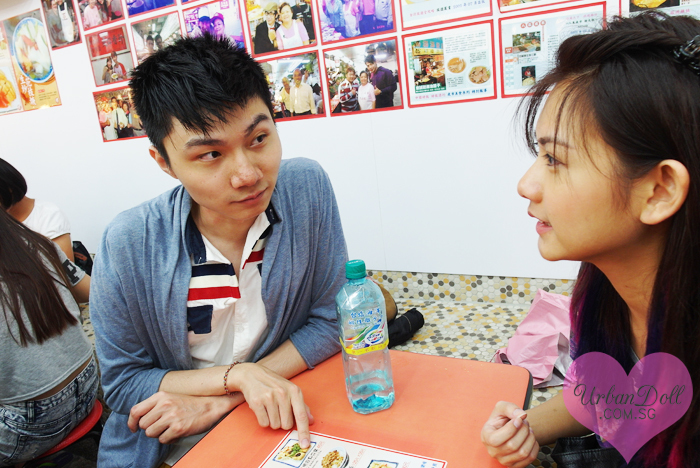 Roy and I bought Plan C, which offered 7 days of UNLIMITED Data and NT$300 worth of call time. It was sufficient for our usage. 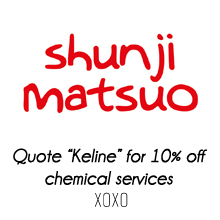 The staff helped us with the set-up and ensured everything was done before we left the counter. Off we go! 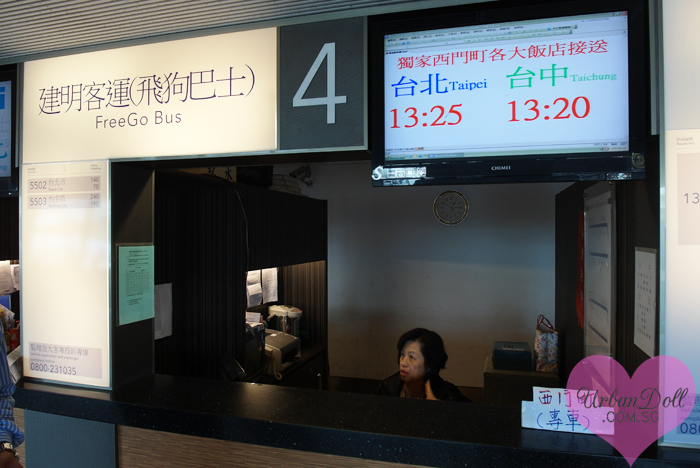 After purchasing our 3G card, we followed the signs to the bus station to take a direct bus to Taipei. Randomly checked out a counter and they offered a direct ride to our hotel, realised it was called FreeGo aka 飞狗, which I read about online. We got 2-ways ticket for our way there and from our hotel back to the airport on our last day. I think it costed around NT$200-$250. The bus ride was comfy with aircon and nice seats. We slept our way to our hotel! We arrived along the road where our hotel was situated at. 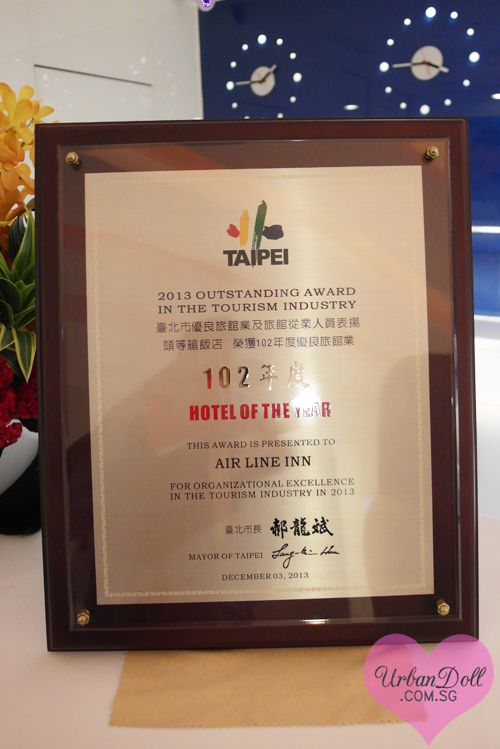 It was a boutique hotel with an airplane theme (hence the name, Airline Inn 头等箱). 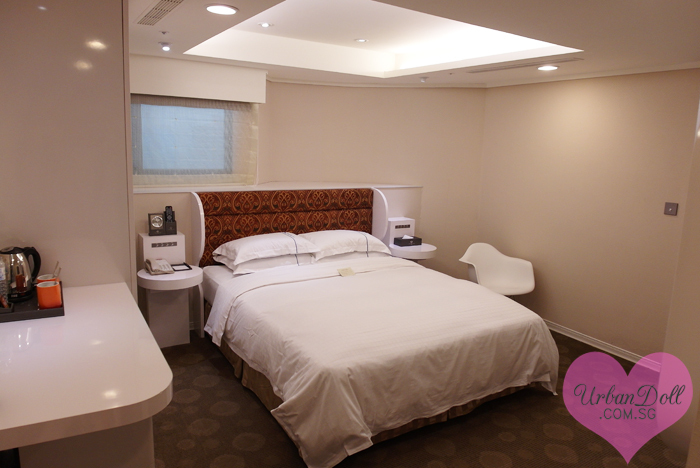 I read about it online on both Tripadvisor and Agoda and decided with this hotel because of the high ratings. Checking in with our luggages. We went with 1 full luggage, and 2 empty luggages. 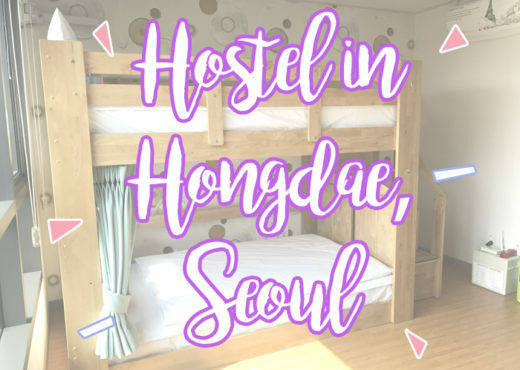 When we first stepped into the hotel, we thought it was a bit small but when we settled down and placed our stuff, it was not bad! 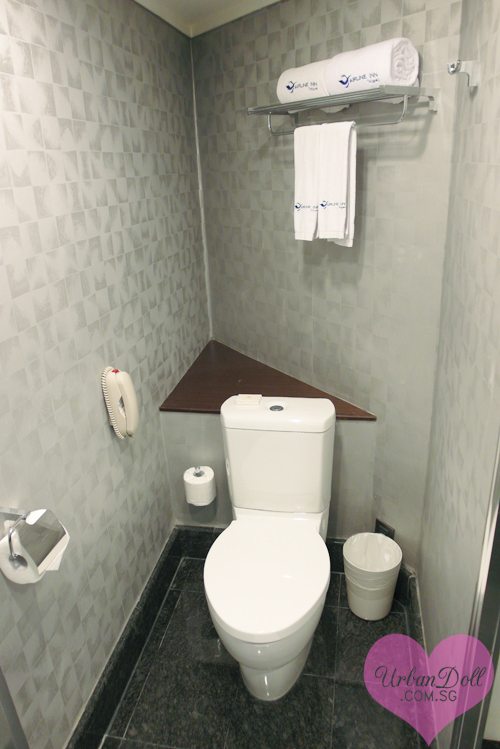 I liked the toilet as it was clean and very organised. They made use of all the available space very well. The bathroom did not come with a bathtub, but that was okay with us! 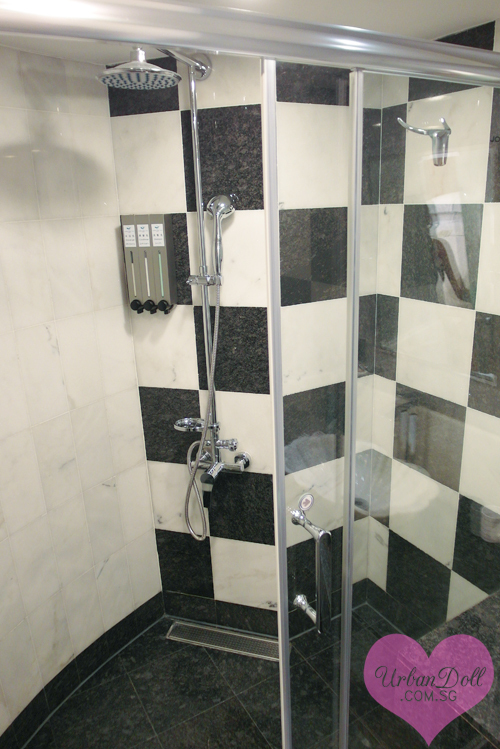 The shower area was quite spacious. 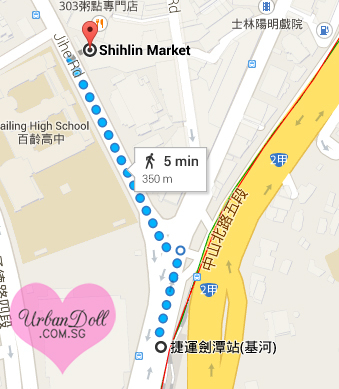 It is less than 100m walk away from the train station. 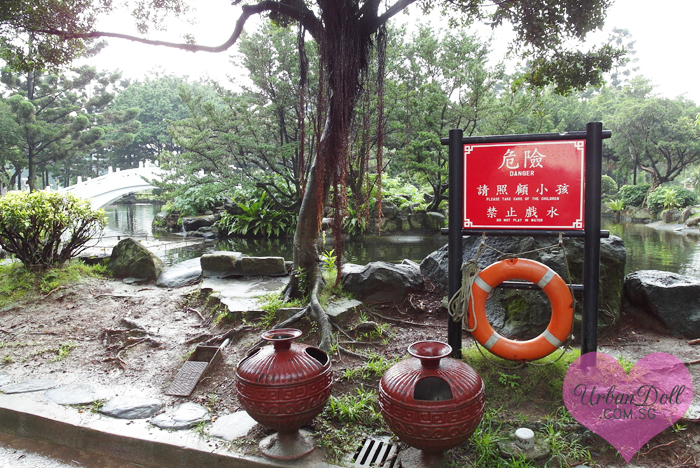 The hotel is situated near Xi Men Ding （西门町） Exit 6, which is the exit you need to get out of when going to Xi Men Ding. 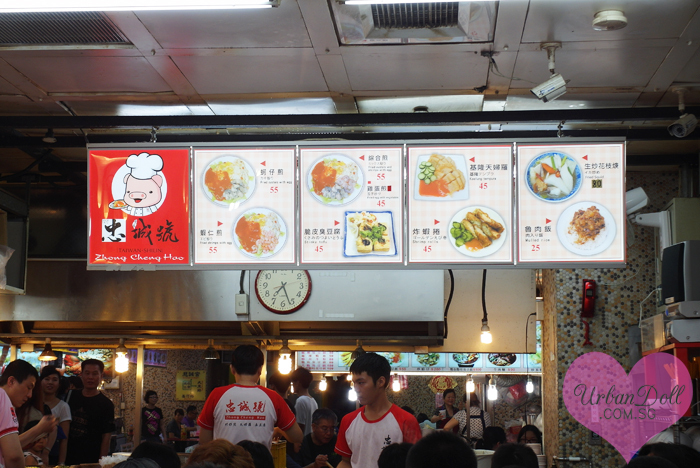 It is also near famous food stalls like Ah Zhong Mian Xian （阿宗面线 ）and Yong He Dou Jiang （永和豆浆）. Ah Zhong is just downstairs!! 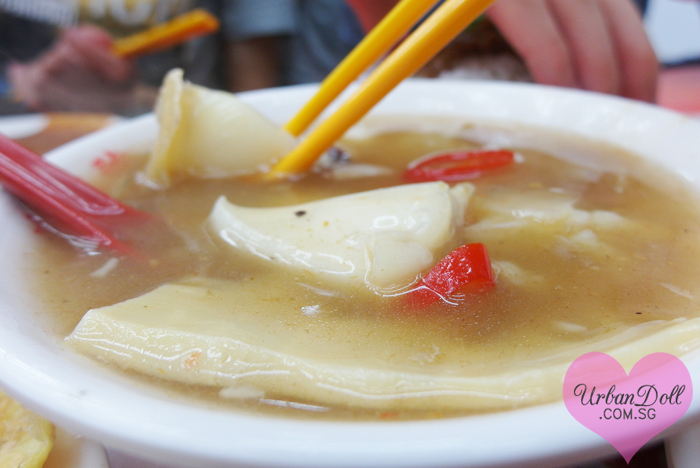 If you are hungry at night, you can just head to Xi Men Ding to buy some street food or from the many 24/7 convenience marts. The service staff were all very friendly and approachable. They never failed to greet us whenever we left the hotel or came back in the night. Always willing to help check on our next destinations and recommend nice places around. 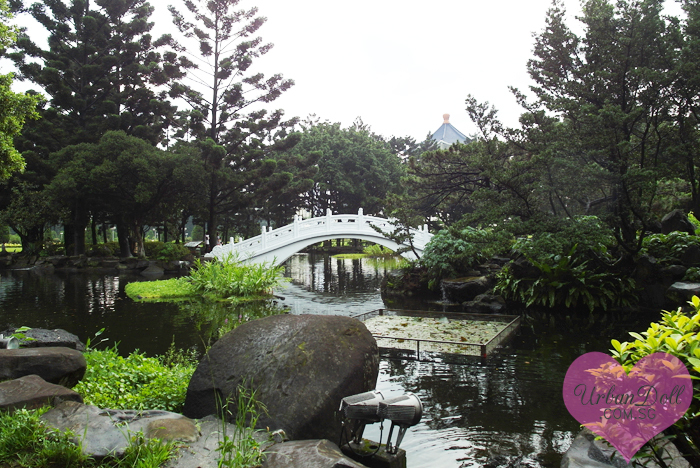 It costed us SGD$130.00 per night, so it was SGD$65.00 per person for one night. Thought it was pretty reasonable given the accessibility and comfort. Hotel room was very clean and organised as per above photos. There was everything we needed, a chiller, a hair dryer (very important for ladies! ), comfy fluffy bed. Housekeeping was done everyday too. For the more eco-conscious travellers, you may opt to change your bedsheets only when you want to and not on a daily basis. TV Channels played many famous American movies so it was good for us. You can switch to their variety channels. Please do not expect bathtub, swimming pool and a gym. While the hotel is situated at a prime area, people with a very bad sense of direction might not be able to locate it as it isn’t a very big or grand hotel building that is a landmark by itself. It is located on the 8th floor of a building. You will need to find the lifts on the first floor of the building behind some clothing shops. 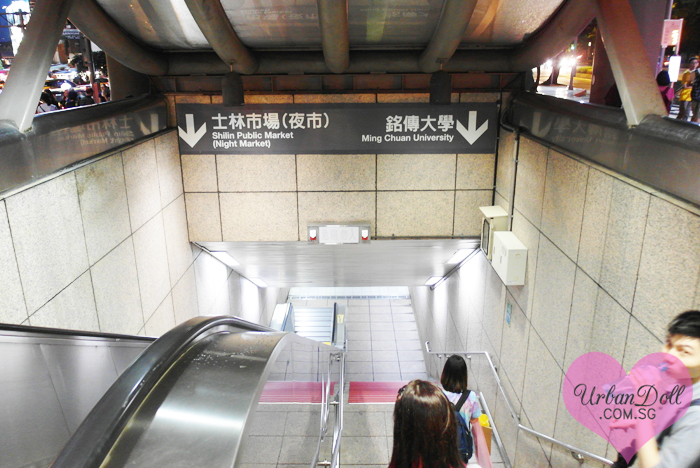 Roy and I found the lifts very quickly because I saw the signs and we are quite good with directions. On the 9th level, there is a dance studio with ongoing dance classes from 2pm – 8pm. It didn’t affect us much since we were out in the day but if you have a bad headache or are sick during your stay and need to rest in the hotel, the dance classes may annoy you. 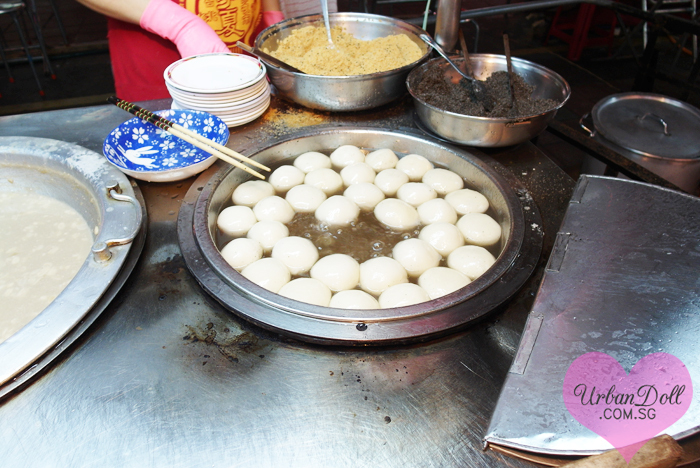 Saw a street food stall that sold quail eggs, it was NT$20 for a stick. Above is Shao Qing trying to pay for me haha. 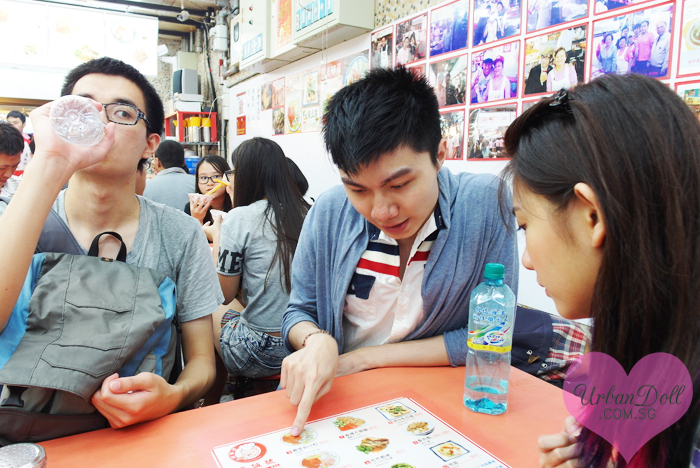 Didn’t enjoy smelly toufu （臭豆腐） throughout our entire trip haha. 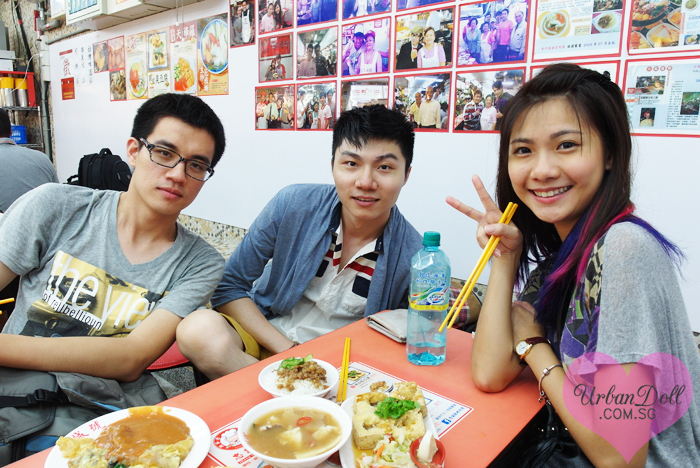 Our friends brought us to a famous braised food shop that sold all kinds of braised meat. Braised duck tongue, braised veggies, braised chicken feets, braised intestines, etc. 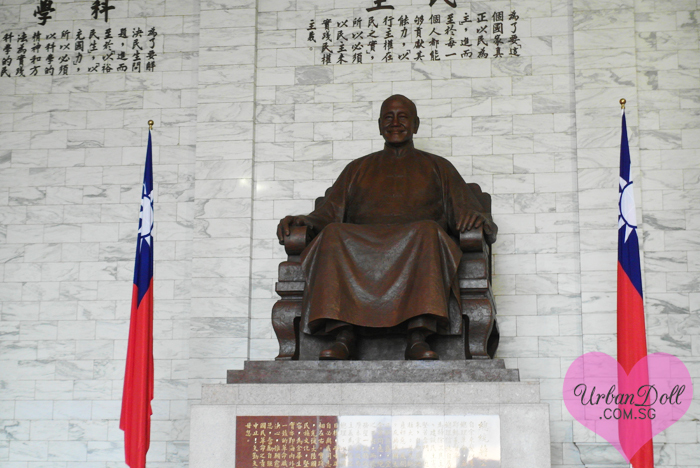 Took the train to our first stop to Chiang Kai Shek Memorial Hall （中正纪念堂）. Check out the guys who were travelling with me, all standing at 1.8m. So this is their view of me HAHAHA, from Roy’s eye view. Must have been tiring for them to be talking to me the whole time. Left: Shao Qing, Jia Wei, me. 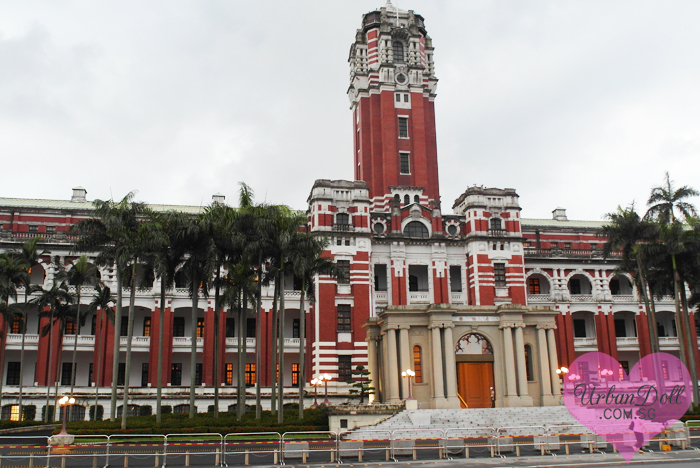 We arrived at Chiang Kai Shek Memorial Hall （中正纪念堂) pretty quickly since it was only a few MRT stops away. It drizzled a little so the sky was gloomy and the surroundings were damp. 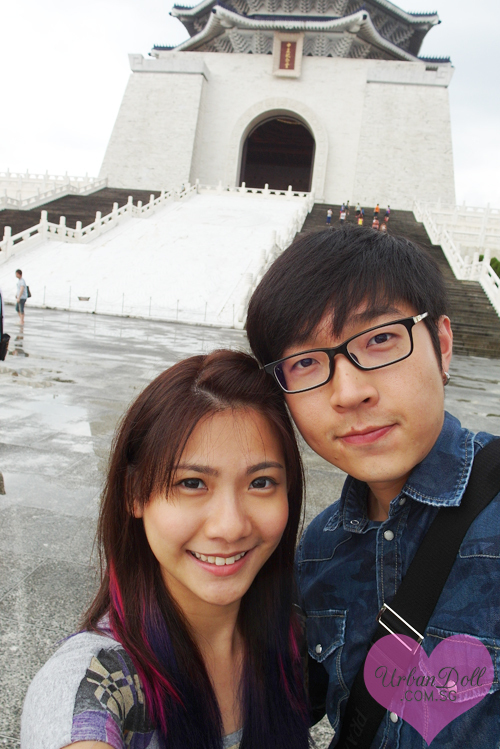 Of course, a couple selfie with the iconic monument. 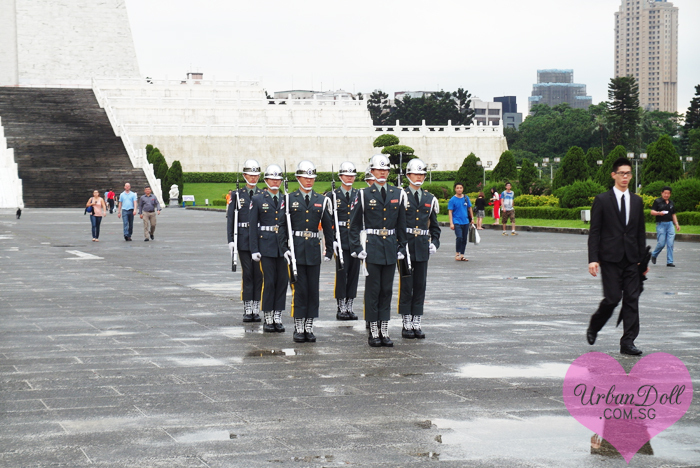 We rushed through the museum as we were told by the staff that the flag ceremony was going to start at 6pm. Thankful that they informed us, otherwise we would have missed it! 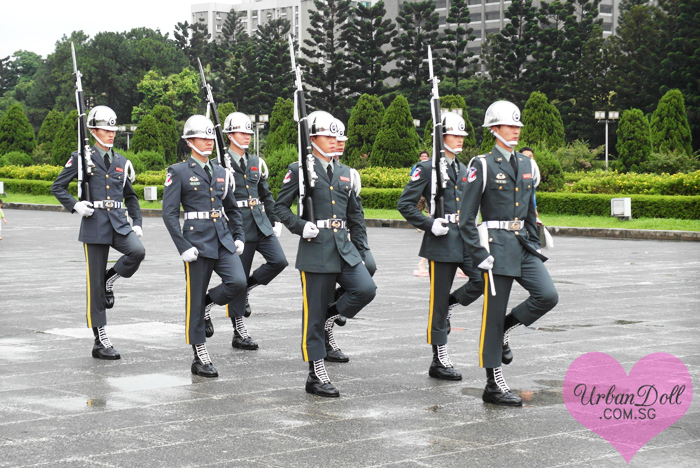 Out of nowhere, the guards appeared and started marching towards the podium. You can see the puddles of water on the floor from the slight rain that occurred earlier. 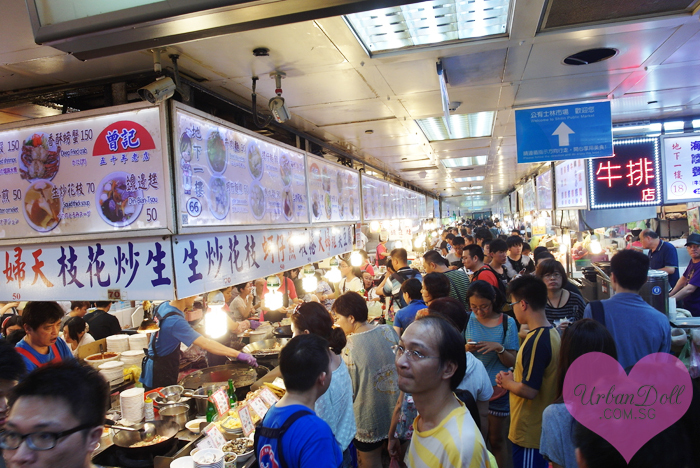 Alas, it was time to visit the famous Shihlin Night Market （士林夜市）! 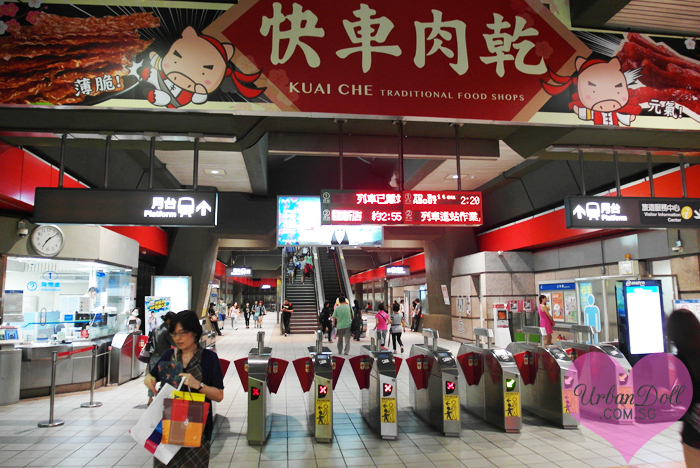 We took the MRT to Jian Tan Station （剑潭）. 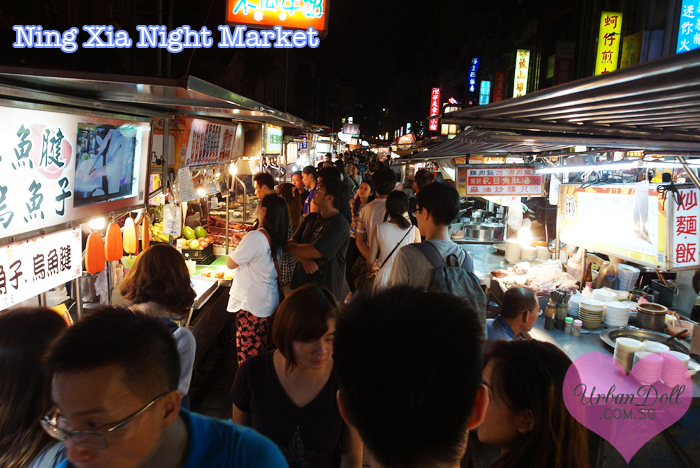 The night market is easily accessible by crossing the road opposite or going through the underpass. 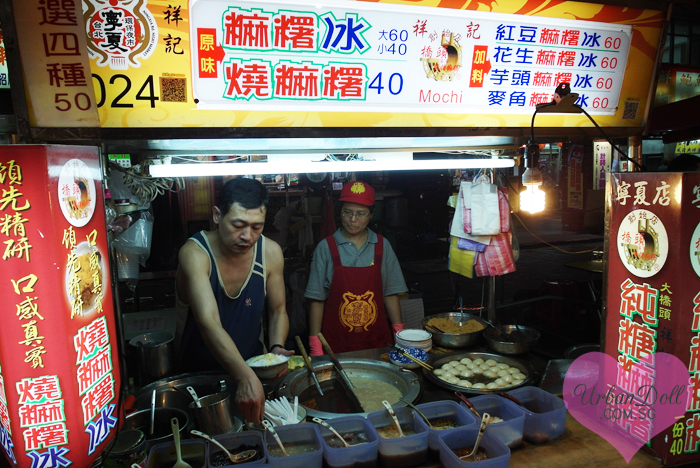 It felt like my lifelong dream to visit Shihlin Night Market as I used to watched a lot of Taiwanese variety programmes when I was young and they always featured this place. Lol. 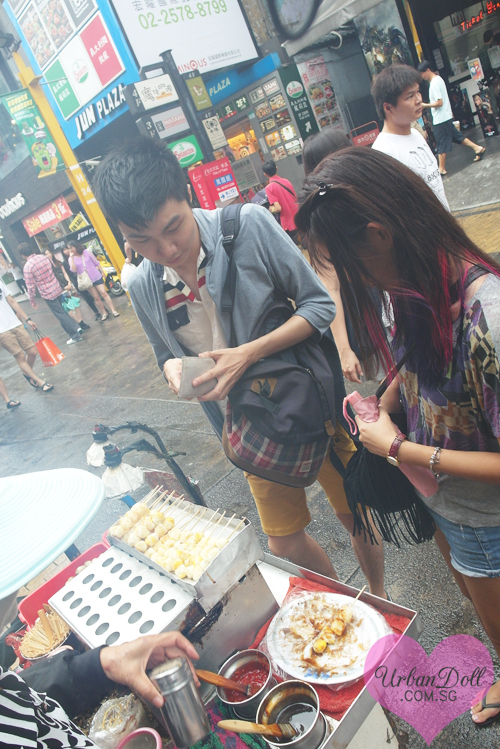 The first street stall we came across was selling fried milk!? 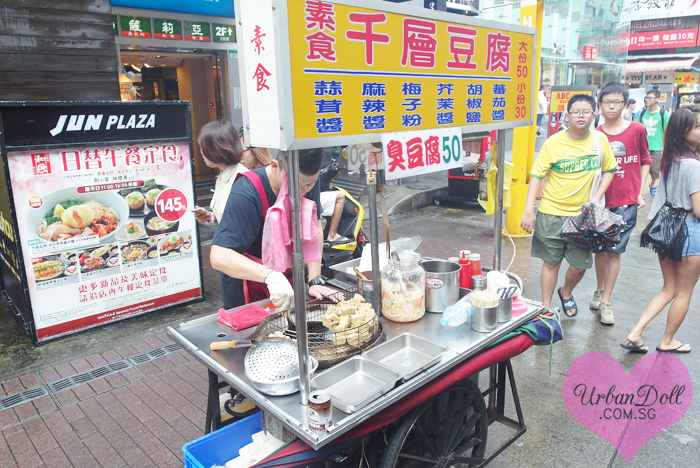 （炸鲜奶） Yes, she was frying solidified milk. Tasted somewhat like custard to me. And then we went to the underground eating area which was FULL OF PEOPLE as you can tell from the photo below. 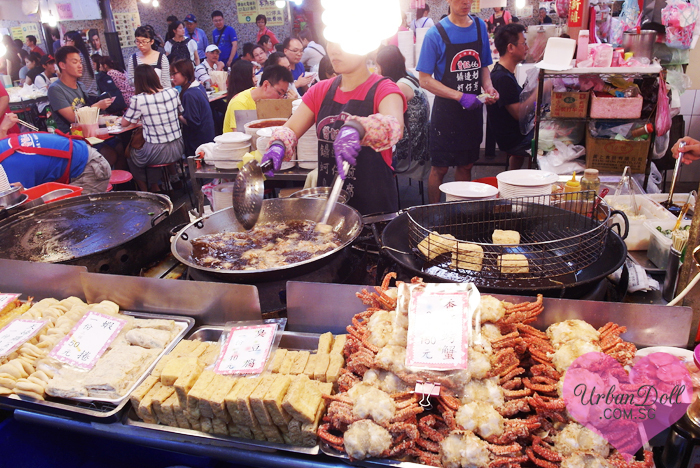 We had to squeeze around and all the shops were selling the same stuff, fried crabs, fried squids, oyster omelette, braised meat rice, etc. 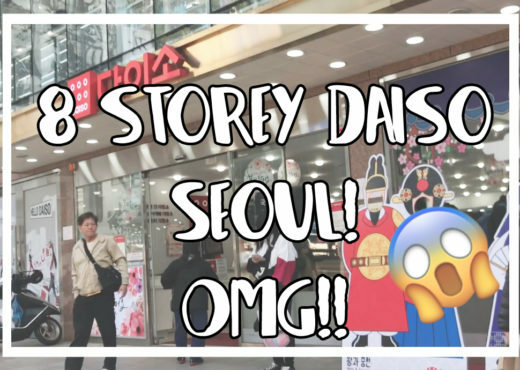 Then we randomly settled for a shop and started checking out what they had to offer. 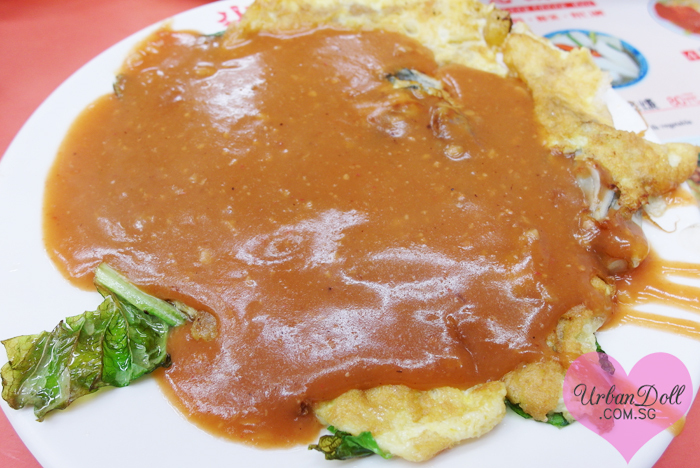 Their oyster omelette came with a sweet orange coloured sauce. A weird but tasty combination. This is the “fried” squid with vegetable. It’s a sweet starchy dish. Braised meat rice! 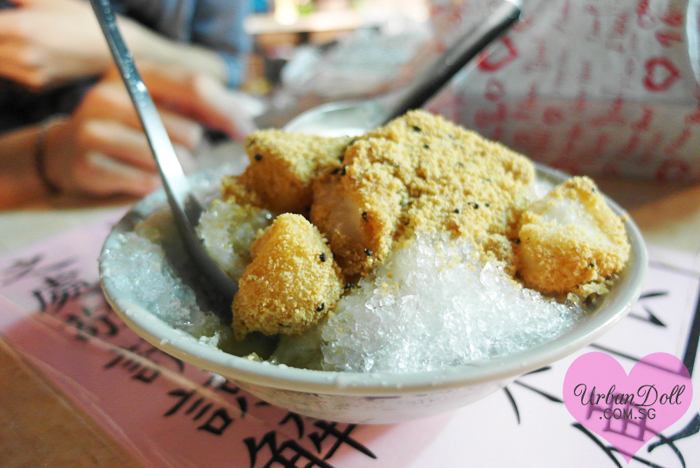 The must-eat whenever you’re in Taiwan! 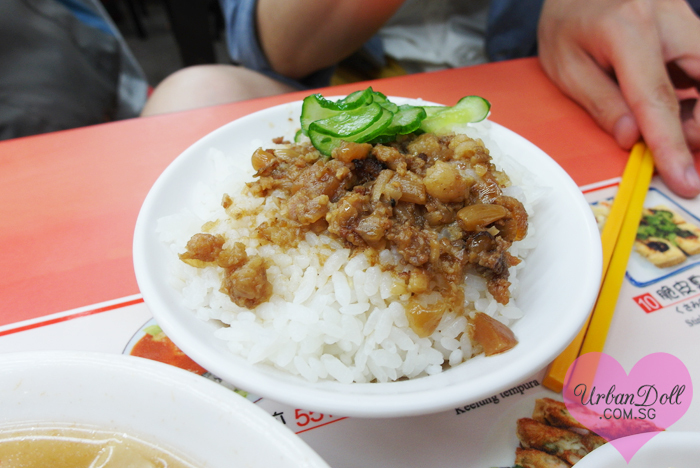 Most of the braised meat rice are only about NT$20-$30 and they come in a very small bowl. Jia Wei, Shao Qing and me. Onward to more food adventures! 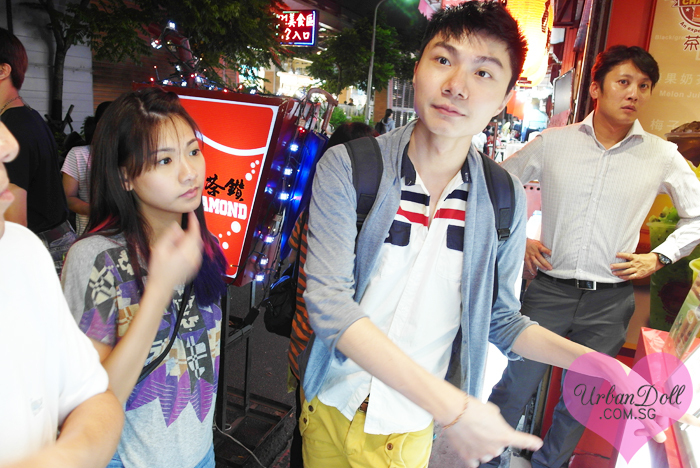 Think we were buying milk tea or mango smoothie. 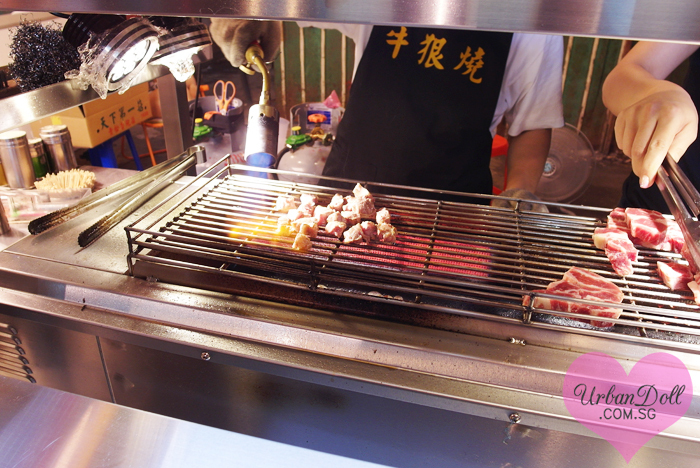 Ah this stall had a longggg queue but too bad we don’t take beef. But it was very tempting! 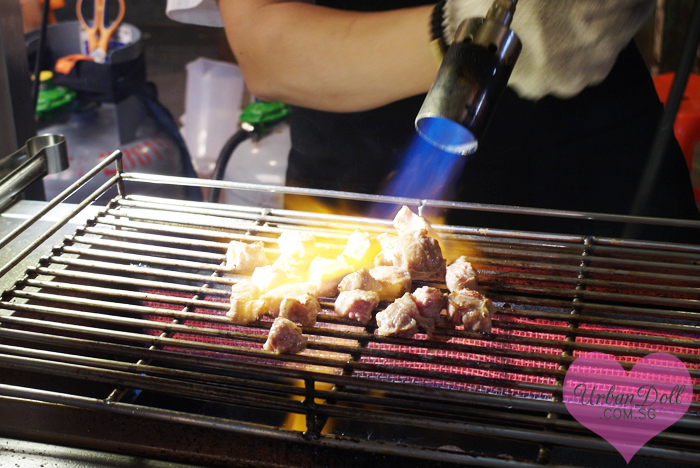 Just look at how they torched the beef cubes. 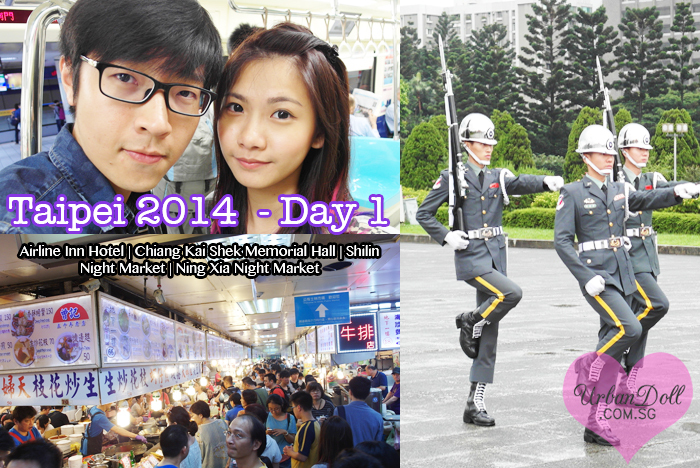 Overall, Shihlin Night Market was a good experience and very very convenient to go to. In fact, we returned a few other nights because of its location and to play the street games! 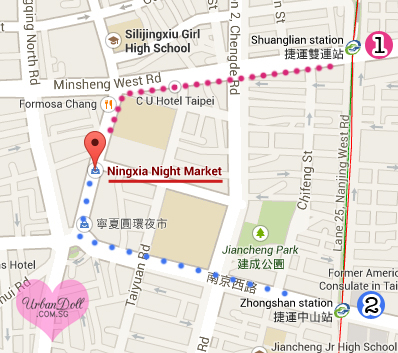 After some aimless walking, we went to Ning Xia Night Market （宁夏夜市）. Ning Xia Night Market is a lot more popular with the locals and relatively small as compared to Shihlin or the other night markets we went to. But let me tell you, it’s a rare gem! Luckily we had our taiwanese friends bring us there. It’s entirely open without shelter, unless you walk into the more established shops. 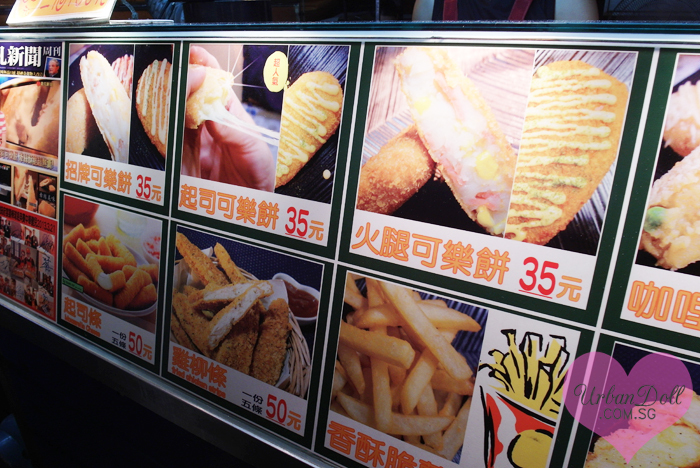 There were a lot of great food finds and snacks. 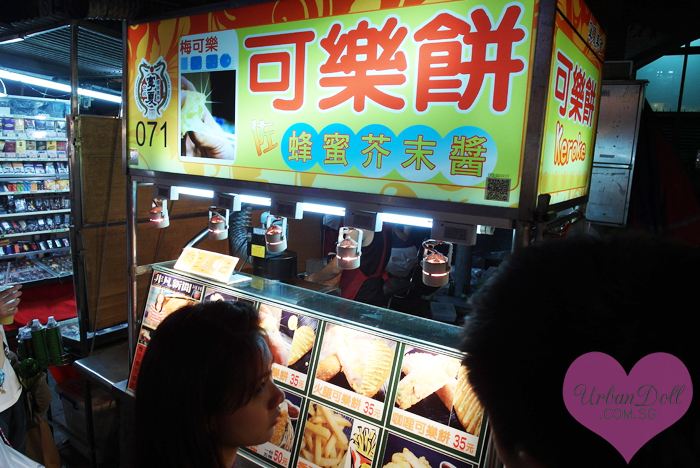 Our first stop was this Mua Chee Ice stall that bought us all away. Okay, especially Roy!!! He couldn’t stop talking about it the entire trip and kept wanting to return there but we didn’t manage to go back. They were cooking the mua chee on the spot. 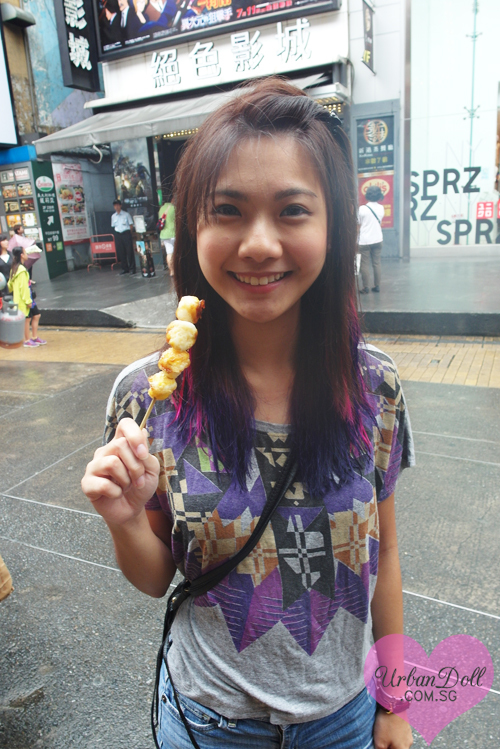 Who knew mua chee looked like this? Catching up while waiting for our dessert to be served. 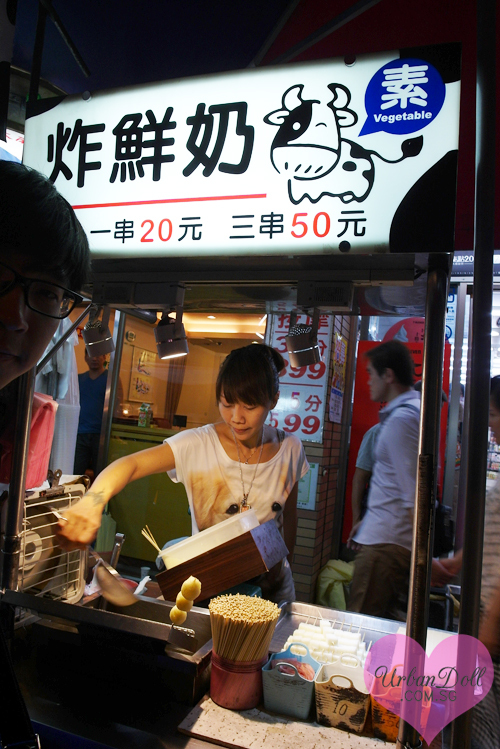 Greedy me couldn’t resist this stall that sold deep fried potato stuffed with all sorts of stuff. I chose the Mozarella cheese filling!!! Super yummy!! No pictures of me eating it because I devoured it. It was 11pm by then and we were all dead beat. Took the train back to Xi Men Ding and headed to our hotel for a night’s rest because we had to wake up at 6am the next day! 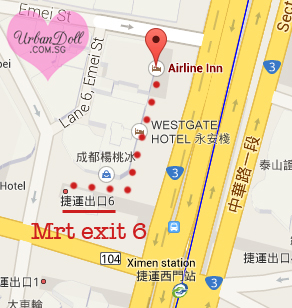 Nearest MRT Stations: Shuang Lian 双连MRT 双Zhong Shan 中山 MRT. 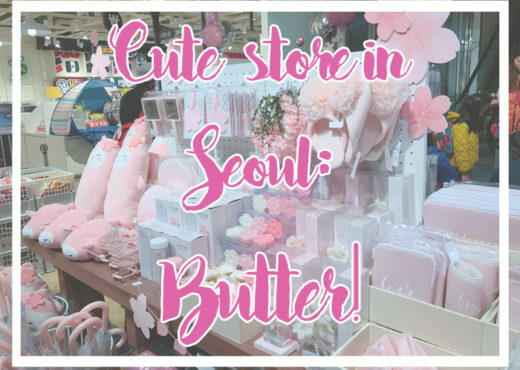 I’m trying to churn out the next post ASAP so that I will not have backlogs. T.T My Europe trip isn’t even half done yet haha. 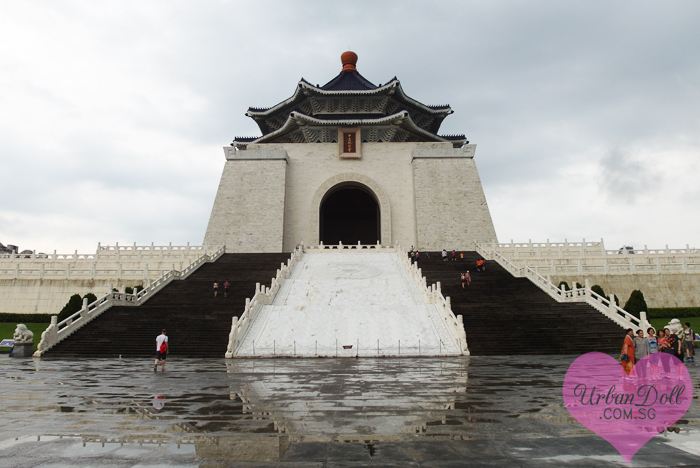 Hope I can finish my Taipei blog posts within the next few weeks because a lot of people are travelling there soon! Hi! 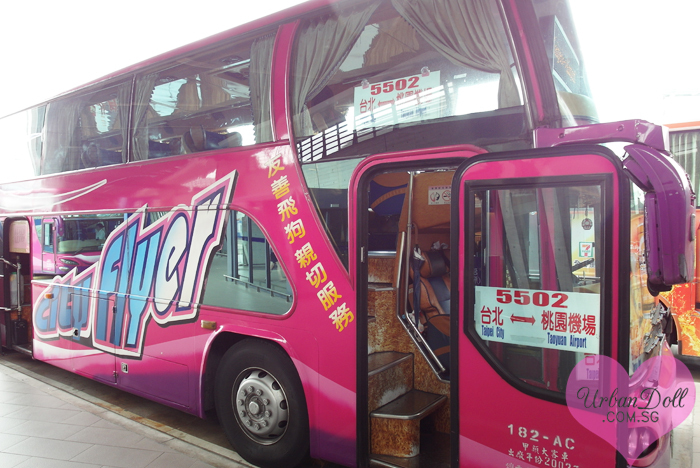 I’m thinking of staying at Airline Inn for my upcoming trip to Taiwan in Oct. Do you rmb how long was the bus ride frm the airport to the hotel?